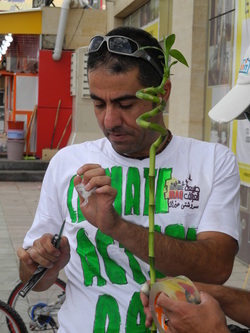 For more information about the project see the Iraq Waterkeepers website. We advocate and work to protect the rivers, streams and waterways of Iraq and support local communities in the sustainable use of these natural resources. Currently we have one Waterkeeper on staff (the Iraq Upper Tigris Waterkeeper, IUTW) based in Sulaimani, Kurdistan, Northern Iraq, but in the future, as Waterkeepers Iraq is developed, our jurisdiction will cover additional waterways and basins throughout the country. We advocate for proper management and planning of our water resources so that waters are equitably shared and maintained between all users. Our work focuses on trans-boundary water issues, water policy and long-range planning, water-related legislation, the issues of water allocation and prevention/removal of dams that damage rivers and their communities. We monitor contaminants that pollute our waterways and seek innovative solutions for the protection of these waters to maintain their health for both the natural environment and the human communities that depend upon them. 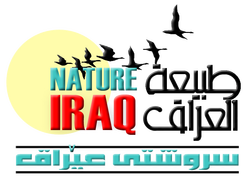 We use a variety of advocacy, education and outreach tools to support, raise awareness and educate community, scientific and governmental stakeholders about protecting the waters of Iraq. These programs are designed to reach all levels of the community from children who will be responsible for protecting our water resources tomorrow to current decision-makers.